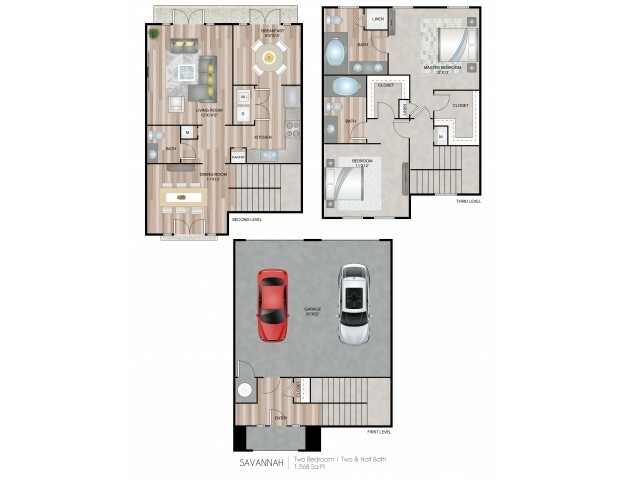 This three story townhome features a two car garage and two levels of living space. A huge balcony can be accessed from the living room. The dining area features French doors and a Juliette balcony.